As part of our curated collections exhibtion at Interiors UK we are delighted to be featuring the work of our friend Clare Goddard. I honestly adore Clare's work and was so pleased when she agreed to be involved. 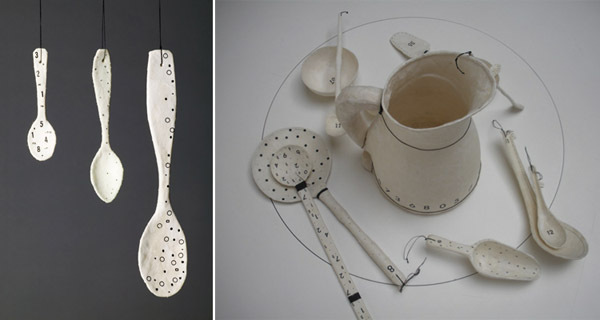 Clare creates spoons and vessels such as jugs and bowls using the paper from discarded tea bags. Each one is uniquely handcrafted - they really are exquisite. You can view more of Clare's work on her website.